The past 12 months have been challenging for many reasons, and the arena of global health was no exception. We take a closer look at six diseases that challenged complacency and made us appreciate the importance of immunisation as well as the people behind it. Back in January the Ebola outbreak was still threatening lives in Guinea, Liberia and Sierra Leone. Securing supplies of an effective vaccine as soon as possible was the main priority. This resulted in a ground-breaking agreement between Gavi, the Vaccine Alliance and Merck whereby the Alliance committed to buy the vaccine for emergency use before it was fully licensed. After several false dawns, Ebola transmission finally stopped across West Africa. The tragedy had cost more than 11,000 lives and US$ 2.8 billion in lost GDP as well as severely damaging national health systems. As research continues, the Ebola experience still has much to teach us about the value of strong health systems, the importance of developing vaccines against known threats (the ‘new’ vaccine has been around since the 1970s) and the need to develop an emergency response plan against new outbreaks. 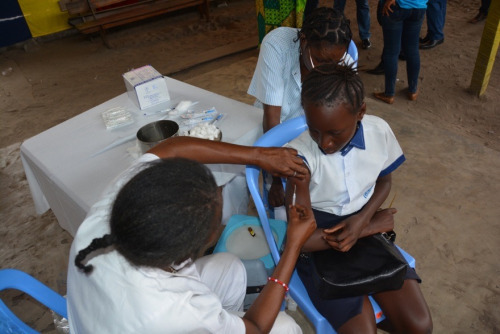 A school girl in DRC receives the yellow fever vaccine. Photo: WHO/ Eugene Kabambi. A yellow fever outbreak first emerged in Angola at the end of 2015. By early 2016, the epidemic was spreading fast, reaching Uganda and the Democratic Republic of Congo (DRC) by spring. There were not enough vaccine doses in the international stockpile to cover everyone at risk, and the prospect of the outbreak infecting Kinshasa’s 12 million inhabitants was a clear and present danger. In response, yellow fever vaccine doses were diluted to 1/5 of the regular amount. 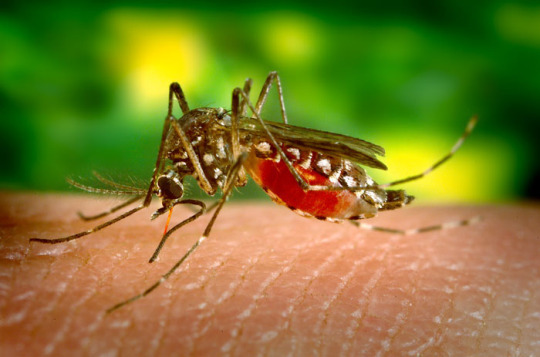 Brazil also helped by offering up to 18 million doses from its own yellow fever vaccine reserves – despite the country’s own vulnerability to a yellow fever outbreak. Overall, this outbreak exposed weaknesses in the vaccine manufacturing and stockpiling systems, Only 4 manufacturers make the vaccine globally, and one batch can take as long as 6 months to produce. If this epidemic was a test case of our readiness for future yellow fever epidemics, it was a worrying wake-up call. Photo: US Army via Flickr. 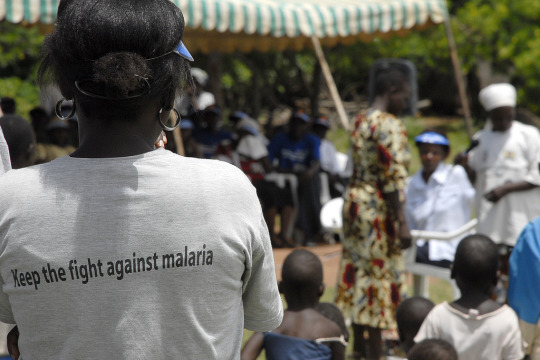 The past year has brought us closer than ever to finding a vaccine against malaria. 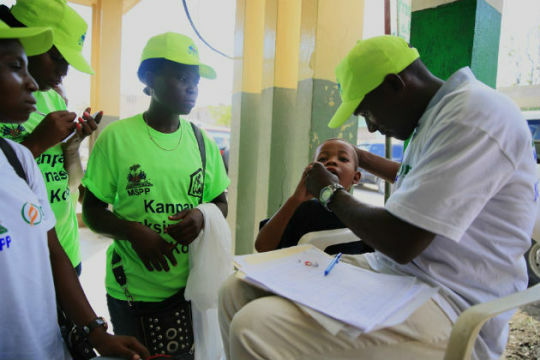 In 2016, Gavi and the Global Fund announced they would both fund pilot projects to see how the candidate vaccine – which requires four doses to be effective – works in practice. Pilot countries will be announced soon in early 2017 and the programme is set to begin in 2018, so watch this space for further developments. The fight to eradicate polio suffered disappointing setbacks in 2016. 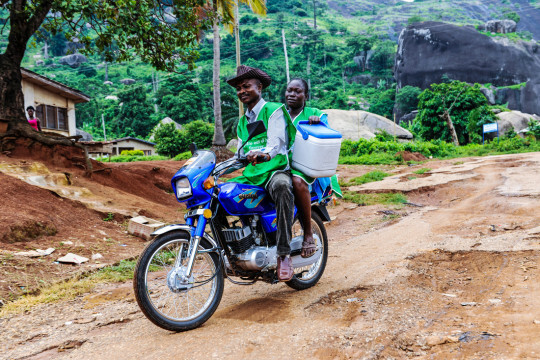 While this amazing goal remains tantalisingly close, the conflict-ridden northern areas of Nigeria experienced an outbreak of polio during the summer months. More encouragingly, the number of cases in Pakistan and Afghanistan dropped, and the global switch from a vaccine containing 3 polio strains to another containing 2 went smoothly. Perhaps polio’s days will finally be numbered in 2017? In the minds of many, cholera is a disease of the past, but this year reminded the world that it’s unfortunately still going strong. In the aftermath of Hurricane Matthew, Haiti once again found itself on the frontlines of a cholera outbreak. One million doses of oral cholera vaccine, drawn from the international stockpile, allowed a huge immunisation campaign. Cholera underlines the connection between humanitarian emergencies and deadly disease outbreaks. Whatever their cause, it’s clear we need a stronger and more coordinated response. An Aedes Egypti mosquito, capable of spreading Zika. Photo: James Ganathy on Flickr. Perhaps the most infamous outbreak of 2016 was Zika. Hot on the heels of producing the Ebola vaccine, researchers and collaborators proved that they can develop a vaccine in record time when the incentive is strong enough. Three candidate vaccines are undergoing testing with more to follow in 2017. The disease was first detected in 1947, but this year marked the first time that proper research into the disease was carried out. Although the outbreak is no longer considered a Public Health Emergency of International Concern, it’s still being taken very seriously. Zika is a powerful reminder of the threat posed by mosquito-borne diseases and how they fast they can be transmitted. Dengue and chikungunya are other ones to watch in 2017 as global warming changes transmission patterns. It’s hard to predict which diseases, new or old, will dominate the agenda in 2017, but if we can learn from the outbreaks and issues that shaped the past 12 months, we’ll be in a better position to prevent and control them.